The call to action (CTA) can make or break your email campaign. If done correctly, it’s the treat that convinces readers to click through to your website for more information or to make a purchase. If done incorrectly — or not done at all — people reading your email will have no interest in clicking on your email and you’ll see minimal benefits from your campaign. Keep Your CTA Simple: You want people to be able to quickly glance at your email and know what they need to do next and what they can expect to get out of clicking within the email. Keep your CTAs to one or two words so they will stand out. Be Thoughtful With Your CTA Placement: There’s no “magic” rule for where to place the CTA in your email. For shorter emails, it often works best to have the CTA have prominent position at the beginning of the message. However, an eye-catching CTA in a longer email may be better served in the middle of the content to break up long strings of text. 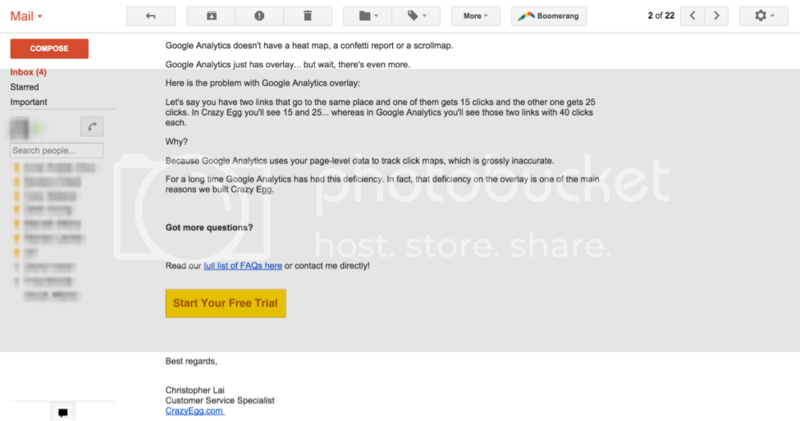 Multiple CTAs Are Ideal: Remember that it’s great to have more than one call to action in your email message. This is especially true if you are trying to get readers to connect with you in multiple ways such as registering for your Facebook page or bookmarking your blog. Marketing experts turn to eTargetMedia for assistance with crafting and executing high-value direct marketing campaigns. The company also offers high quality email and postal lists. Blogger, entrepreneur and developer Jesse Stay says, “Network, network, network! Find your future boss on Facebook, LinkedIn and Twitter,” and his advice rings true. Should you consider colocation for your IT infrastructure?